Well, anyway, we were finally able to get Kajsa’s BP under control just to have her start spiking these outrageous fevers. Then her belly got huge. Huge as in carying quadruplets proportions. It frightened me. It frightened her nurse. And it frightened the Nephrologists. It also made everyone move very fast. So did the impact that it had on her ability to breathe. So we ran off to the PACU where her kidney was biopsied and her abdomen was drained — of 750 ml. Then we returned to the PICU to await the results. Those, being the acute rejection of the blood vessels leading to the kidney. I will continue to pray for your beautiful little girl and for her parents too! Know that you remain constantly in my thoughts and prayers. Can you think of anythng – videos you don’t have, etc. that would be helpful to Kajsa in eliviating the boredom and stress? Thank you for sharing and I am so glad that Chris is there with you. Hold on to each other and feel the love of the rest of us. oh my goodness! i haven’t checked on you in a while and i’ve missed a lot. have some catching up to do, but i just wanted to give you a big (((((((HUG)))))))). please know that i’m keeping kajsa, you, chris and your family in my thoughts and sending out lots of positive energy to you all tonight. I think you know how much we care about all of you. I just hate that you are having to go through all of this. I have to ask. Is that a beleaguered ‘T’ cell in the photo at the top of this post? I just wanted you to know that I’ve been thinking (and reading!) about you & your daughter and truly hope for the best possible outcome. As an infant, my daughter spent several months in a PICU and it certainly wears on you after a while. Not to mention totally distorting your perspective. I am glad Chris was there to give you a break. I think now more than ever you need that little bit of time to reflect and pray. You have been in my thoughts. I will see if I can find something for Kasja, but I can’t make any promises. Money is tight right now. I will try to send a card though. Rowan, my heart aches for Kajsa, you and Chris. Sometimes all you can do is say CRAP!, have a good cry, and keep chugging along. I’m glad you’re feeling our prayers and love vibes and I hope they help a bit in the chugging process, but I still wish that we could all transport there (without any of our germs) to wrap you all in hugs and offer our shoulders. Damnit… this stinks! Pass on a hello and I love you to Kajsa from Auntie Heathooo and get/give a big ol’ bear hug to my bro. I will put together a package and get it sent this week. Give the girl whatever love you can give her from me her cyber auntie. I am thinking and praying for her. And her family. Big hugs to your family!! I will continue to keep Kajsa in my thoughts and prayers. Great. A special-just-made-for-Kajsa movie is on the way. I hope it goes some way to helping her feel less lonely, at least. Geez. It is so hard. OKT3 is some tough stuff. No fun whatsoever. And I know you must be worried sick. I know that you know that all of this is to move toward health and a better life for Kajsa, but I also know that just knowing this doesn’t necessarily make it any easier. But that being said, all we can do is send you whatever sunshine we can. I will keep all of you in my prayers. Prayers, lots of prayers for Kajsa and you right now….know that and take comfort in that. I will continue to pray for your child. I am a Transplant/Renal nurse the University of Tennessee Medical Center. I know all about OKT3 and I will pray it works for her. We use Thymoglobulin or simulect. Save the OKT3 for rare cases. I’m on the adult transplant floor, children stay in PICU. I know they do things different with the children. It is not the norm, but not unusual either that a abdomen has to be drained after a transplant. There’s blood that sometime accumulates in the peritoneal cavity during transplant. That can get a little infection and cause fluid to accumulate. We just had to reopen a TX patient, drain, wash out, then reclose. It happens. His kidney and pancreas are working just fine. We do pancreas transplants too. Hang in there, never underestimate the power of prayer and positive thinking! I’ve seen it turn the worse cases around! CRAP! There I’m saying it with you. Sending prayers and good vibes. Thanks everybody. It’s great to hear from all of you. 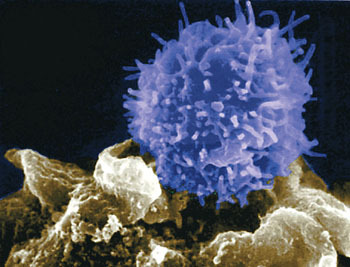 Yes, dad, that’s supposedly a T-cell. Shelli, I think things can be cleaned. We borrow movies and games from the playroom without concern. Moreena, just thanks. It’s so good to get the skinny from an eperienced mama. Miriam, I want to just read about your baby – not drone on about mine! Most everyone else was lending support and love…I thank you ALL! It means so much to get away and read all your well wishes.